Stitch Story: Crocheting Clothes Kids Love Book Giveaway! Today is the day Ellen Gormley and I have been waiting for! 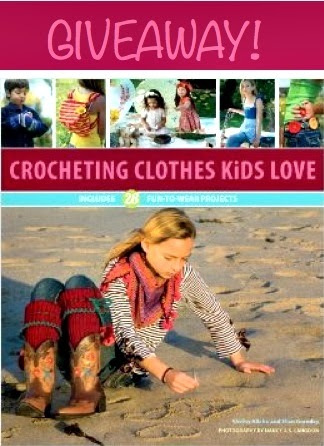 Crocheting Clothes Kids Love has now been officially released! To celebrate, Ellen is giving away a copy on her blog. If you would like to enter to win, please visit her blog today! She will announce the winner on Monday, February 3rd. Copies are selling fast. Amazon US is out of stock, and there are only 6 copies left on Amazon UK's website! I hope that soon, many people will be crocheting clothes kids love!